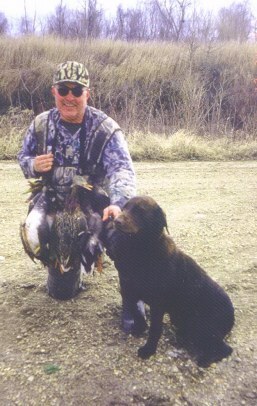 Doug and Vicki are avid Duck, Geese and Turkey Hunters. Give them a call and invite them to go hunting or set up a training session. 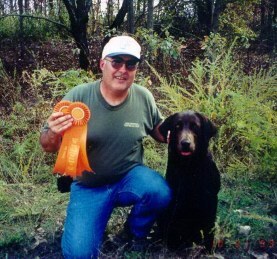 Doug and Vicki's first Trained Retriever was Cinder. 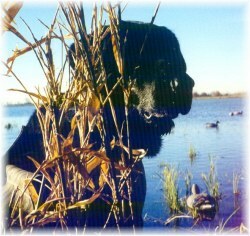 Click on her picture to read her eulogy and learn what a wonderful Retriever she was. Kutter comes from a strong Chocolate Bloodline! Kutter is 90 pounds of hard hitting Super Desire, with a great personality. Kutter always aims to please. Doug, Vicki and PAHRC are especialy proud of Kutter for earning his AKC JH title @ 7 months of age. The only chocolate NFC ever!